Ah, leftovers. How I love looking at the contents of my fridge and pondering over the best way to use things up. If this suggests that I’m thrifty and resourceful, don’t be mislead. 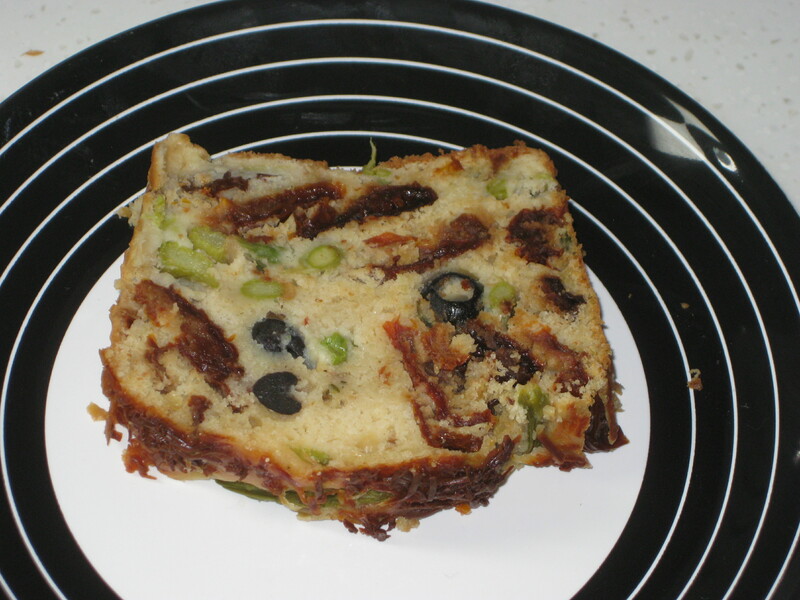 But surely having half a jar of olives and a good chunk of Gruyere in the fridge justifies buying the asparagus and sun-dried tomatoes needed to complete this loaf? And in my defence, it has been on my to-do list for quite a while and it was nice to finally have the opportunity/excuse to make it. It was as tasty as I’d hoped – let’s face it, with ingredients like these, you can’t really go wrong! This loaf is absolutely bursting with filling, so much so that I might actually use a little less asparagus next time – but better too much than too little. It would be perfect picnic fare, and is a pleasant accompaniment to a soup or salad. It could even be breakfast food too, as my boyfriend can testify. 1. Preheat the oven to 190C. Oil and line the base of a 23cm loaf tin with greaseproof paper. 2. 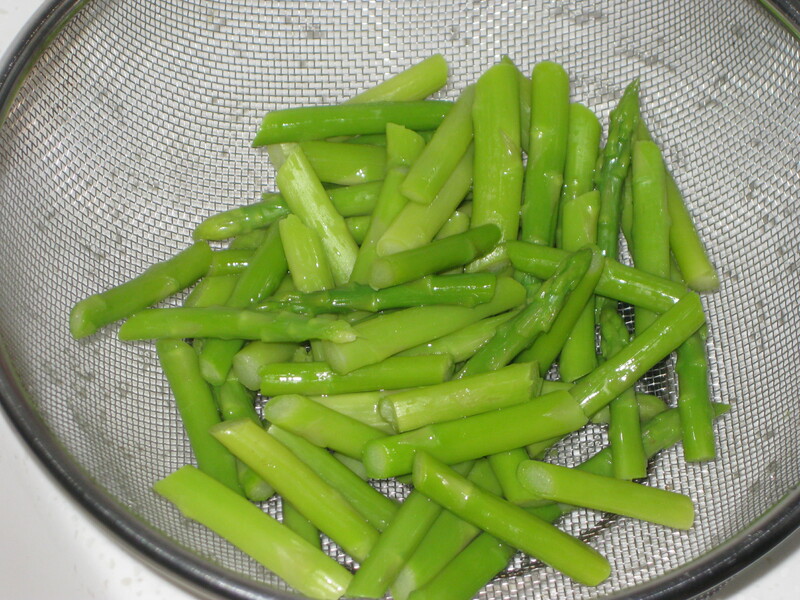 Cook the asparagus in a pan of boiling, salted water for 2 minutes, then drain and set aside to cool slightly. 3. Mix the flour and thyme with some seasoning in a bowl. 4. 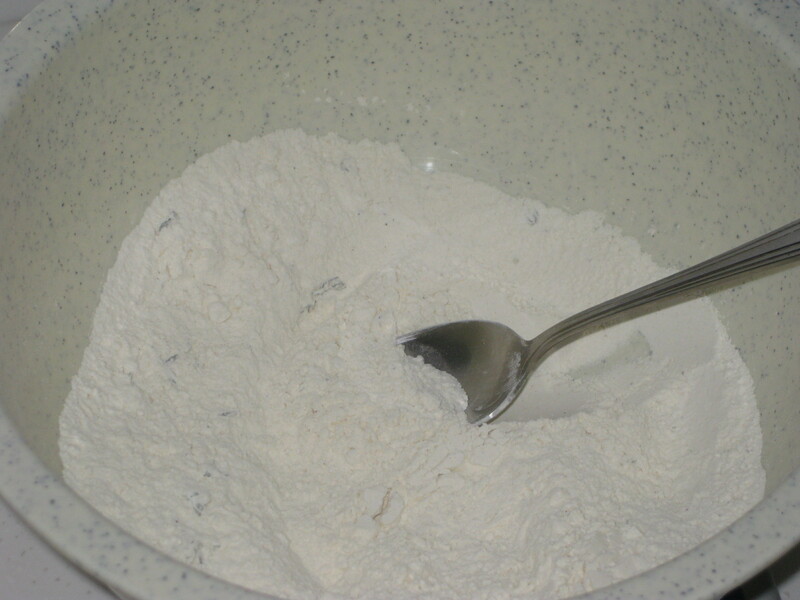 Make a well in the centre and pour in the eggs, milk and oil, stirring constantly to draw in the flour from the sides. 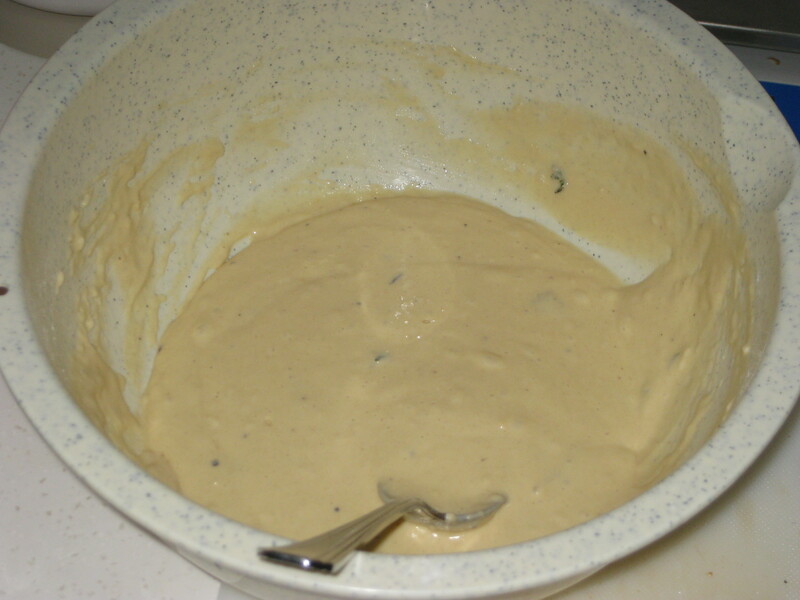 Beat for a good minute until it forms a smooth batter. 5. 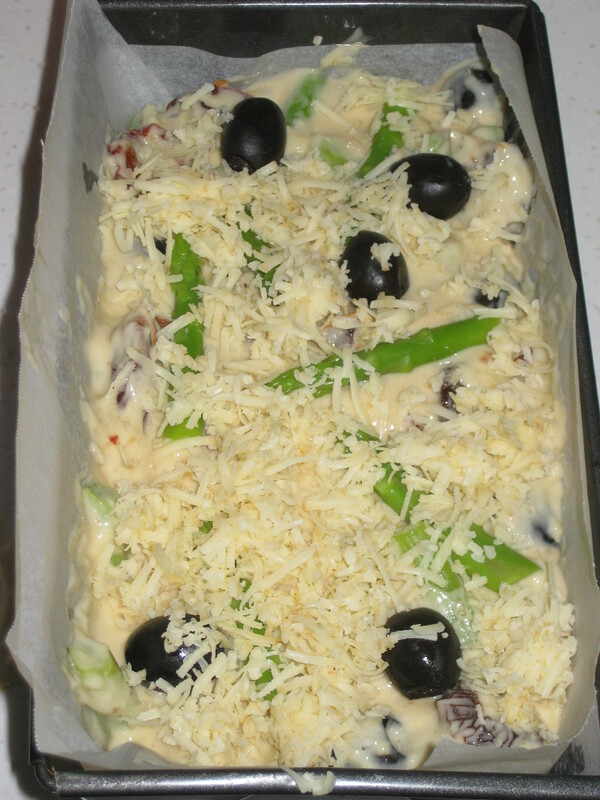 Set aside 5 asparagus tips and olives and one third of the cheese. 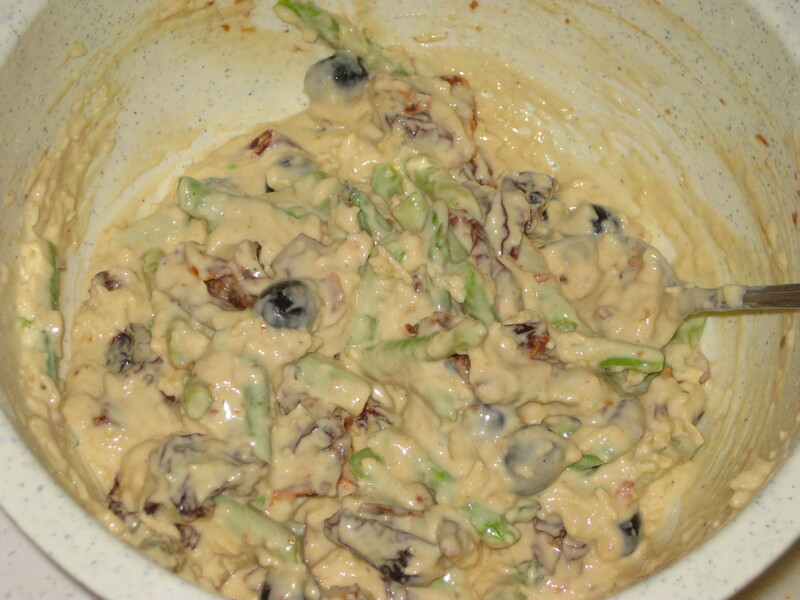 Tip the rest of the cheese, olives, asparagus and sun-dried tomatoes into the bowl and stir well to combine. 6. 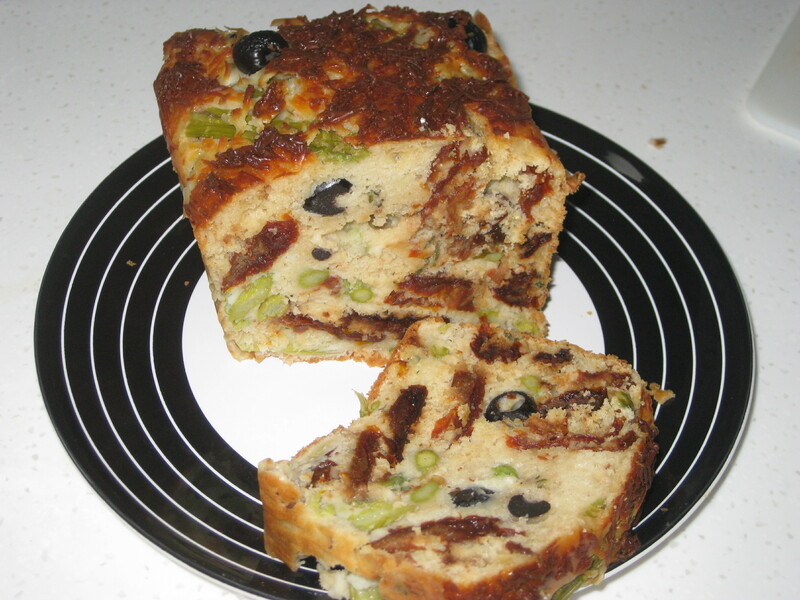 Pour into the loaf tin, then top with the reserved asaparagus tips and olives, and sprinkle the last of the cheese on top. 7. Bake for about 35 minutes until the top is golden and it’s quite firm to touch. 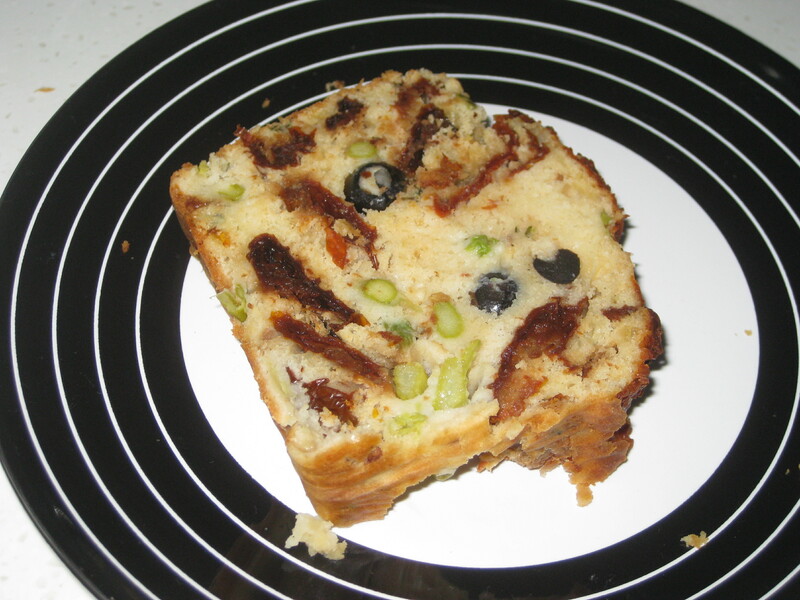 Place the tin on a wire rack for 10 minutes, then turn out the loaf and let it cool completely. 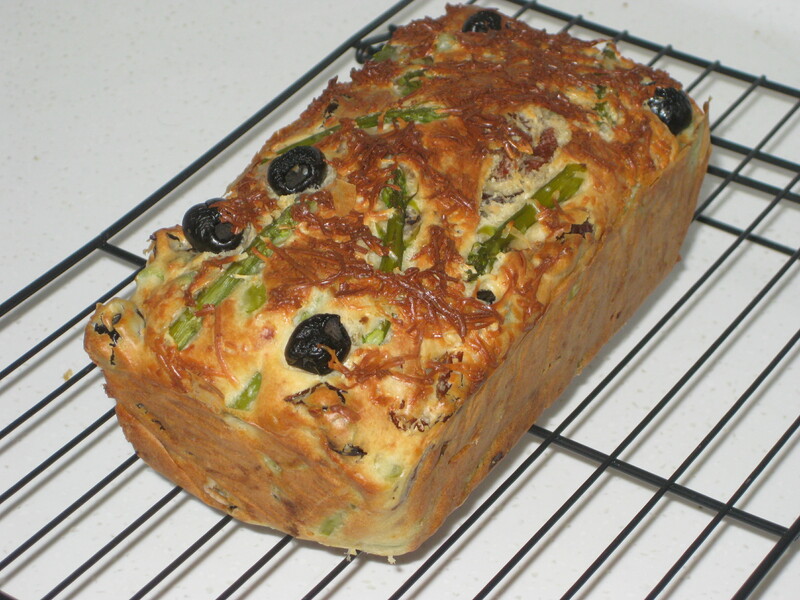 This entry was posted in Vegetarian Recipes and tagged asparagus, bread, Gruyere, olive, summer loaf, vegetarian picnic. Bookmark the permalink.